2 images. 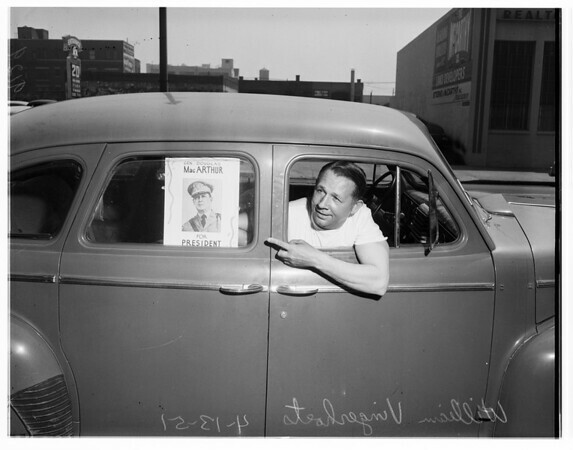 MacArthur for president -- sticker on car, April 13, 1951. William Vingerhoets.